The most comprehensive collection of Keyboard Works by Padre Antonio Soler! Padre Antonio Soler spent most of his life in the monastery of El Escorial near Madrid in his native Spain. He wrote an astonishing number of 471 sonatas for the keyboard, one‐movement works in brilliant instrumental style. Charming, sunny and tuneful, they may compete with the famous keyboard sonatas by his contemporary Domenico Scarlatti. 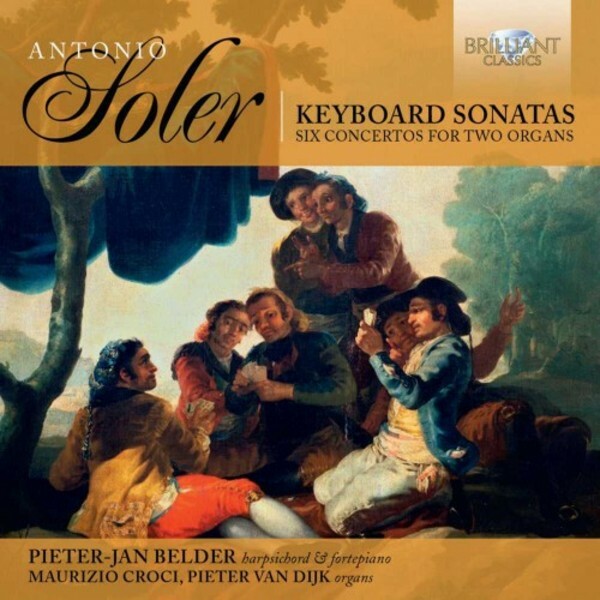 Pieter‐Jan Belder made his fame by recording the complete Scarlatti Sonatas, and his Soler recordings are on the same high level of musical insight and virtuosity: a sheer delight! As a bonus, the recording is included of 6 sonatas for two organs, by renowned organists Maurizio Croci and Pieter van Dijk.